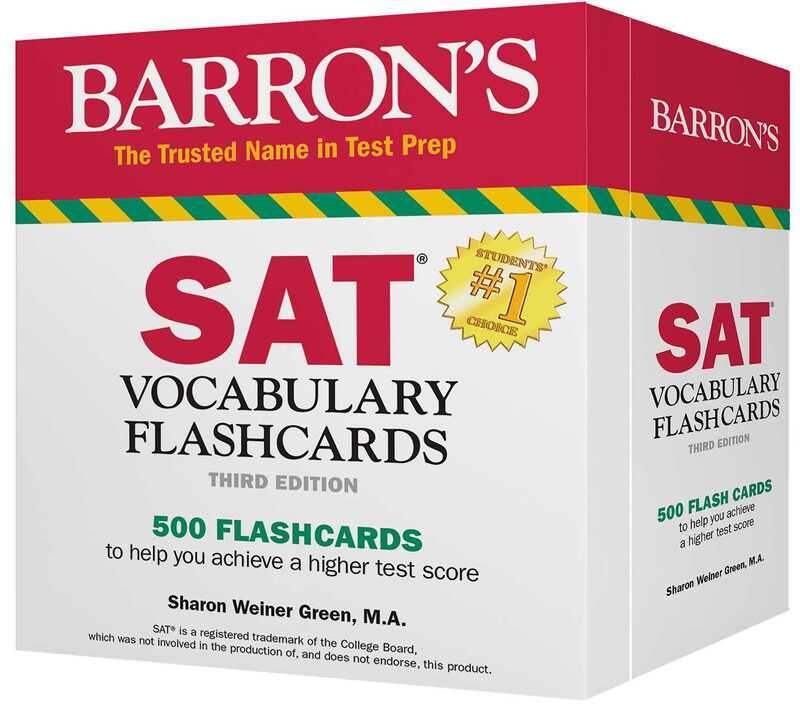 Barron's SAT Vocabulary Flash Cards features 500 SAT high-frequency words, selected because they have appeared as key words in recent SAT reading passages and critical reading questions. Cards are alphabetically arranged in the box, with an extra place-marker card that students can use to gauge their word-learning progress. This vocabulary building flash card set enables SAT test takers to review words they might already know, as well as to master unfamiliar words they are likely to encounter both on the SAT and in their college courses. The front of each card lists the target word along with a guide to its pronunciation and its part of speech. The card's reverse side presents the word's definition, uses it in a sentence, and lists synonyms. Flash cards in this set each have a small punch-hole in the one corner. It accommodates an enclosed metal ring that students can use to arrange select cards for study on the go. Students who master all 500 words will find enclosed instructions for making their own flash cards so they can continue to expand their vocabularies.